Any new Toyota or Scion or used car that you’ll find at our Pittsburgh, PA area dealership is a big investment, and one of the best ways to maintain that investment’s value is by regularly maintaining it. That’s where our Butler, PA dealership’s service center comes into play. For any kind of repair on your Toyota or Scion, our service center proudly takes care of any issues your ride is having. Even for routine maintenance, we’re conveniently located near the New Kensington, Gibsonia and Zelienople, PA areas and easy to find, so make an appointment and bring your car in. Whether you need your oil changed, brake service, a battery replacement or a tire rotation we’ll have it taken care of in no time and send you back on your way. We also will be happy to order any accessories or add-ons for your car through our parts department so you can outfit your ride in just the way you want. Ultimately, we have the experienced technicians who will professionally take care of anything going on with your car, so come on over and find out more. 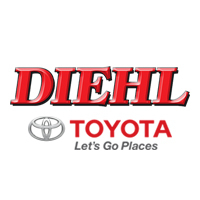 Conveniently located at 266 Pittsburgh Rd, Butler, PA, we here at Diehl Toyota Scion of Butler are happy to take a look at your ride and see what we can do to help you get on your way.